Culmington Road, Ealing. 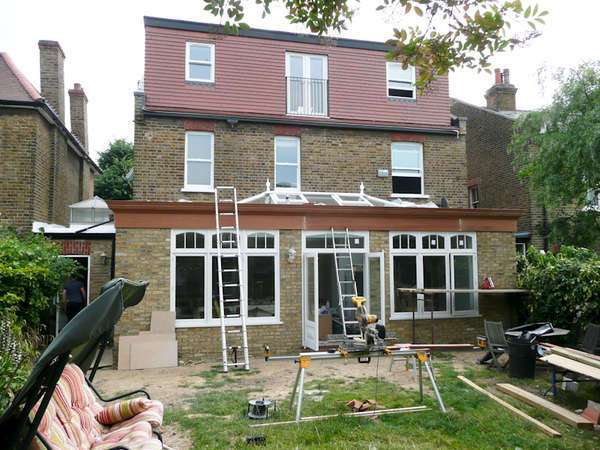 This 9 month long project involved converting a substantial loft and the design and construction of a beautiful Orangery. After some major structural engineering, the back of the house was opened up and the new Orangery added. It now houses a stylish new kitchen and dining area with a useful breakfast bar and separate casual seating area to enjoy the views of the garden. The custom-made windows, bespoke cornice detail and the old stock bricks complete the classic look of this fabulous extension. The enormous loft provided a new master suite with a walk-in wardrobe and a stunning bathroom. Once the works were complete, we landscaped the rear garden with a granite set patio and a new lawn.